Vast is a great adjective when it comes to Brazil. Brazil boasts a vast geography that includes the bio diverse Amazon forest, the mighty Iguacu falls, a vast population of over 200 million, and vast beaches, including the famed Impanema, and Copacabana. 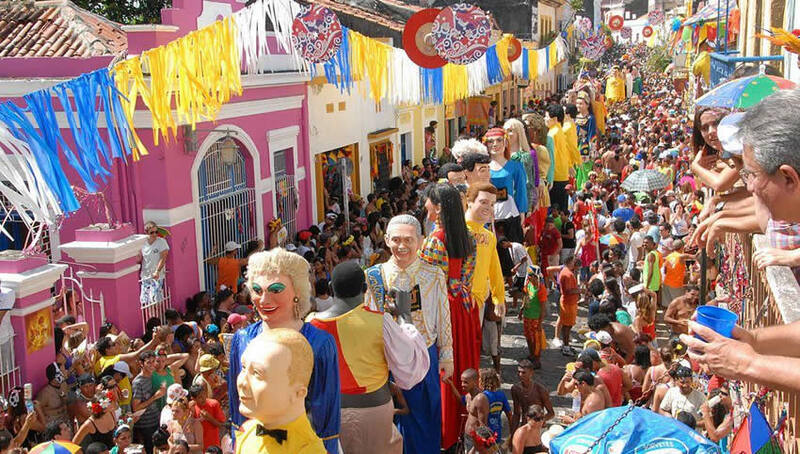 Brazil’s Carnival tradition is truly vast, beginning in 1641, in the streets of Rio de Janeiro, this sensuous street parade attracts two million people each day! When it comes to sport no country’s trophy case is as vast, or passion so great as this soccer, ahem futebol, mad nation. Naturally with so much to offer, Brazil is a major draw card for ESOL teachers, providing a vast array of opportunities. The two main centers for TESOL jobs are the international Sao Paulo, home to 12 million, or party central Rio De Janiero, with its 6 million cariocas. Alternatively, find a slower pace and beautiful beaches further up the coast in cities such as Salvador, or Belo Horizonte, where the relative cost of living leave more in a ESOL teacher’s pocket. Regardless of where you go, the opportunities to teach abound. Language schools in Brazil offer the typical split shifts, and weekend work, essentially before work, during lunch, or after hours for business people looking to improve their English. Salaries range between US$800-$1500 a month. International schools and university offer more typical business hours, with some weekend work, with salaries starting at US$2500. Another option for ESOL teachers is to build a schedule of private students, on top of, or instead of your day job. For major cities like Rio De Janeiro, Belo Horizonte, Salvador, Curitiba and Florianopolis, charging R$40-50 (AU$17-$21) an hour for private classes is the norm, in the big smoke of Sao Paulo R$65 is more the going rate. While securing a job online might be the preferred method in Asia, in Brazil, applying in person is preferred. Be sure to have your resume translated into Portuguese, professional or formal attire is expected, and have your basic Portuguese greetings ready to go. Visas – it is a common practice for ESOL teachers to enter the country on a tourist visa, secure work, and then once a relationship with an employer is established, you like them, and they like you, sponsorship for a work visa is then applied for. This is a notoriously complicated and expensive process, hence why most institutions are loath to engage in the process unless they are committed to you. It’s for this reason that most of the English teachers in Brazil are teaching on tourist visas, and alternately student visas. There are two hiring seasons for Brazil. TESOL courses Australia qualifications are recommended, as well as a BA, though these not mandatory. Having a working knowledge of Portuguese is also recommended. Whether you make Brazil your home for a short tourist visa stint, or stay and play longer, there are jobs a plenty and so much to explore in this vast wonderland.